Here you can find more information on the last few projects undertaken by ginSoaked. 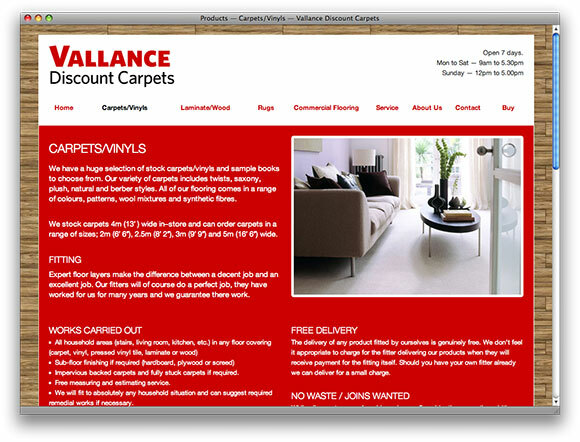 A new site launched in March 2009 for Vallance Discount Carpets. The client was keen to promote the special offers that they have available and this was reflected in the final design. A custom content managed system was developed allowing easy updating of the special offers and upload of associated photographs. ginSoaked are also conducting ongoing search-engine optimisation. A new site launched in September 2008. ginSoaked provided the design and implemented it on top of the popular Wordpress blogging platform. 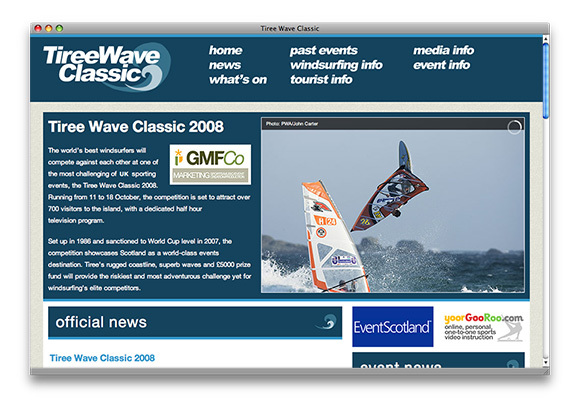 Utilising Wordpress allowed the site to go from concept to completion in a short time-scale, ready for the 2008 Wave Classic. ginSoaked integrated the Jempins design into the Wordpress blogging platform. The design was implemented as a Wordpress theme. 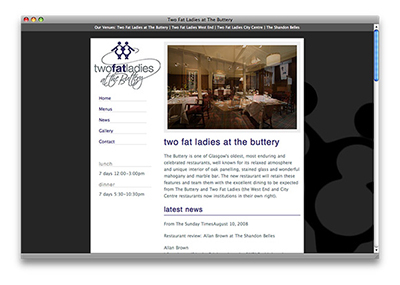 Two Fat Ladies needed a website to promote their renowned Glasgow restaurants. 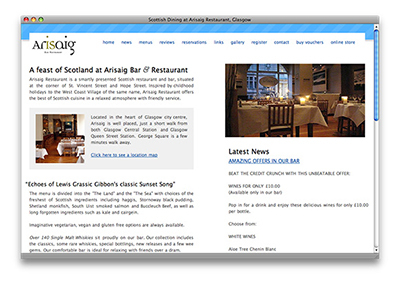 With frequent changes to menus, it was essential that the site could be easily updated by staff. ginSoaked provided a bespoke solution that allows staff to edit site content in a simple content management system. ginSoaked also provide hosting for the site. The owners were looking to promote the restaurant to existing patrons and to gain new business. ginSoaked designed the site from scratch. They required to be able to frequently update the site with new menus and forthcoming events and special evenings for which ginSoaked designed and programmed a database content management system. Additionally they required a gallery to promote a side venture of scenic photos which were being promoted through the restaurant. ginSoaked also provide web hosting for the site. 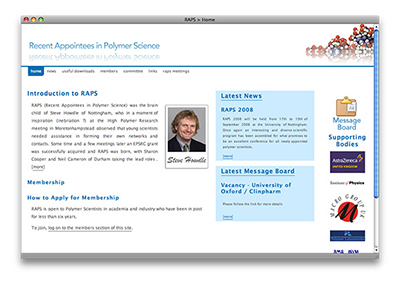 A new website to represent the Recent Apointees In Polymer Science, a group set up to help young scientists in forming their own networks and contacts. The site enables the group to give a background to RAPS, details of comittee members, highlight forthcoming meetings and minutes of previous meetings and provide a place where members can post recent presentations. 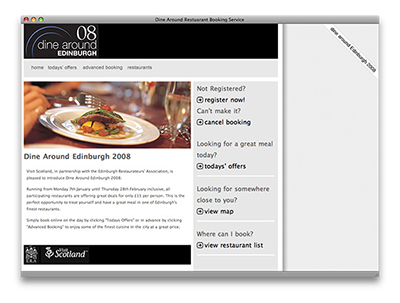 ginSoaked provided the design for the Dine Around 06, 07 and 08 sites. The look and feel was based around ease of use and providing relevant information to customers, fast.